Up for sale is a used 350z wiring harness. This part was removed off a 2006 Nissan 350z Coupe Automatic Transmission with 108,196 miles. REAR WHEEL SIZE IS 19X10" ET30. 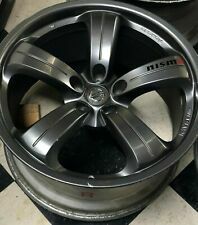 FOR SALE - AUTHENTICNISMO 350Z WHEELS MANUFACTURED BYRAYS ENGINEERING. REAR WHEEL29LBS. Part/Notes: ENGINE ROOM HARNESS, ENTHUSIAST, MT - broken housing on a plug. -Life is life and issues arise; people make mistakes. This is the main engine harness out of an 06 350z with a manual transmission and a REV UP. Model: 350z. We start by removing every part from the vehicle when it arrives at our facility. See the FAQ page for full warranty details. 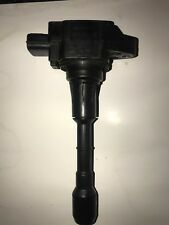 350Z 2003-2005 Base, Enthusiast 6 Cyl 3.5L. Part/Notes: MAIN ENGINE HARNESS (EGI). -Life is life and issues arise; people make mistakes. Off a 2006 Nissan 350z COUPE with AUTOMATIC transmission. 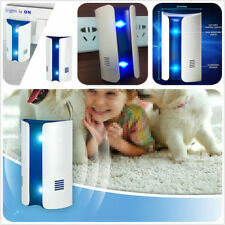 Part #: 284B9 AL500. M odel: 350Z. Part: engine bay fuse box. Make: Nissan. Engine: 3.5L. Warranty is only on parts. You will receive the exact part that is pictured, no extra parts included. The parts sold are good used condition and tested. Used engine harness out of a 2006 Nissan 350Z 6 Speed Manual Revup Motor. Comes as pictured. Comes with all plugs intact. Will not work with automatic transmission. Tested to work, in great condition. Please check your part numbers before buying. Satisfaction Guaranteed!! 14 Day Warranty Should fit 2006 Nissan 350Z 6 Speed Trans. Will only work with 2005 Anniversary Edition M/T and all 2006 M/T transmission Email us for more info. A Solutions Auto Parts We have many more parts for 350Z. Used engine harness out of a 2006 Nissan 350Z 6 Speed Manual Revup Motor. Comes as pictured. One clip is broken. Will not work with automatic transmission. Tested to work, in great condition. Please check your part numbers before buying. Satisfaction Guaranteed!! 14 Day Warranty Should fit 2006 Nissan 350Z 6 Speed Trans. Will only work with 2005 Anniversary Edition M/T and all 2006 M/T transmission Email us for more info. 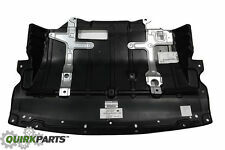 A Solutions Auto Parts We have many more parts for 350Z. WIRING IS USED AND HAVE NORMAL WEAR. 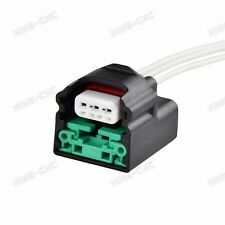 RIGHT HAND DRIVE RHD AUTOMATIC ENGINE WIRING HARNESS JDM VQ35DE. ALN JDM Auto Motors is one the largest JDM Low Mileage Engines & Transmissions Importer! Located between the oil cooler or oil filter housing and the engine block. This is the Oil Cooler seal. We will try to tackle any issue you have and make it right for you. Vehicle Application. Model: NISSAN 350Z. NISSAN 350Z 03 TO 11/06. NISSAN 350Z 04-07 Conv & Cpe; TO 11/06. Engine Cover. Part Grade Abbreviations. cc = Credit Card size units. C = Greater than 200k miles. B = Greater than 60k miles and less than or equal to 200k miles but greater than 15k miles per year. This is the engine bay harness off an 06 350z. This is parts only-24012 CF60B. Model: 350z. We start by removing every part from the vehicle when it arrives at our facility. See the FAQ page for full warranty details. ALL 2003 to 2006 Nissan 350Z models. Made of Billet 6061 Aluminum and TIG Welded with Billet Aluminum machined fittings for a proper fitting seal. Nissan 350Z 2007 with 57k miles. Nissan part number 47660-EV01B. Flange head nut. 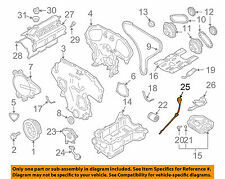 01225-00072 Nissan OEM Part. Fits Most Nissan Vehicles. 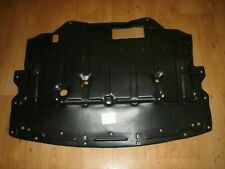 Nissan 350Z 2003-2006 engine cover assy. Vehicle Model: 350Z. Part # or Vehicle Model: 350Z. Vehicle Make: Nissan. Vehicle Year: 2004. Vehicle Engine Size: 3.5. Ontario/New Brunswick/Newfoundland (13%) HST.